PHILADELPHIA (JTA) — It’s been perhaps the second-most surprising presidential campaign this year. 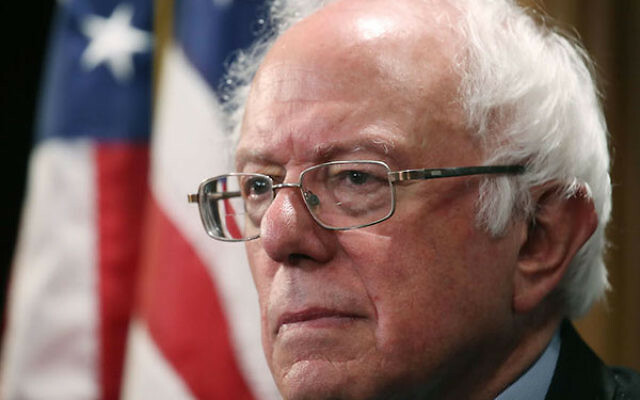 When Sen. Bernie Sanders, the 74-year-old Jewish democratic socialist from Vermont, began his campaign last year, no one expected him to take a strong insurgency all the way through the primary season. Now he’ll take his message of economic reform to a packed arena at the Democratic National Convention, where he’ll be a headline speaker on Monday’s opening night. Sanders will be walking into a divided convention hall. Clinton supporters are urging the party to coalesce around the presumptive nominee. But Sanders’ delegates are angry. They’re upset that Clinton tacked to the political center in selecting Virginia Sen. Tim Kaine as her running mate. And they’re fuming about leaked emails from the Democratic National Committee that showed favoritism toward Clinton. Here are five things to expect from Sanders’ speech — and his supporters. 1. He’ll call for party unity. Bernie Sanders, to put it lightly, has issues with the Democratic Party. He has criticized the primary system. He accused the Democratic National Committee of favoring Clinton. He called for a “political revolution” to change the party and bring in new voices. And he has issues with Clinton, from her links to Wall Street to her hawkish foreign policy. But when it comes down to it, he’ll support Hillary Clinton and call on his followers to do the same. Sanders has made clear throughout the campaign that a Democratic president — even Clinton — is far preferable to Donald Trump. He has stayed on that message even after news came of the leaked DNC emails. Expect him to play down his criticism and encourage supporters to close ranks. 2. He’ll call for economic equality — and a more dovish foreign policy. The core of Sanders’ message has always been about fighting for a fair economy that isn’t dominated by the very rich. Expect him to press that message again — from breaking up large banks to raising taxes on the wealthy to raising the minimum wage and making college tuition free. This is one of Sanders’ best chances to attack the “rigged economy” he says needs to change. But Sanders’ dissent from the political mainstream extends to foreign policy. One of his main critiques of Clinton is about her perceived willingness to use military force abroad — from her vote for the Iraq War in 2002 to her support for airstrikes in Libya in 2011 as secretary of state. Sanders is less of an interventionist and has called for increasing diplomacy — even normalizing relations with Iran. Sanders’ foreign policy agenda extends to Israel, where he’s taken a more pro-Palestinian tack than his one-time opponent. While Clinton is viewed as a traditional Democratic supporter of Israel, Sanders has been much more critical. He has admonished Israel for its actions in the 2014 Gaza War, called for Israel to dismantle settlements and spoken about Palestinian suffering. While he many not mention Israel in his speech, expect him to demand a change in how the U.S. engages with the world. 3. His supporters will protest. Just because Sanders asks his supporters to back Clinton doesn’t mean they will listen. Sanders delegates have emphasized, especially following the email leaks, that they plan to protest on the convention floor — during vice presidential candidate Tim Kaine’s speech as well as Clinton’s. There will likely be more cheers than indignation from Sanders delegates during his speech, but some anger will probably bubble over. Speaking at a news conference Tuesday, Sanders delegates made clear that their candidate can’t order them around. “He’s not running the show,” said Norman Solomon, chairman of the Bernie Delegates Network, an unofficial organization. Expect the party’s cracks to bare themselves tonight. 4. He’ll bash Donald Trump. Sanders is supporting Clinton to deny Donald Trump the White House. He said that in his speech endorsing Clinton, and he’ll say that tonight. While he will offer praise for his former Senate colleague from New York, the bulk of his words will take aim at Trump’s rhetoric against minorities and immigrants, as well as against the Republican nominee’s economic policies. While Sanders shares some of Trump’s skepticism over trade deals, he is also a champion of government programs that benefit the lower and middle classes and sufficient taxes to pay for them. The first night of the Republican National Convention last week saw an unending stream of vitriol against Clinton, including multiple speakers — bolstered by a chanting crowd — saying she should go to prison. And while Sanders probably won’t say Trump should be behind bars, expect him to go negative. 5. He’ll call himself an outsider — but may not mention his Judaism. Sanders has often spoken of himself as an outsider, but hasn’t always painted that outsider status in Jewish terms. He has said he is “very proud to be Jewish” and has invoked the Holocaust in advocating social justice. But he has also described himself as the “son of a Polish immigrant” and attributed his difference more to economic qualities than his religious heritage. 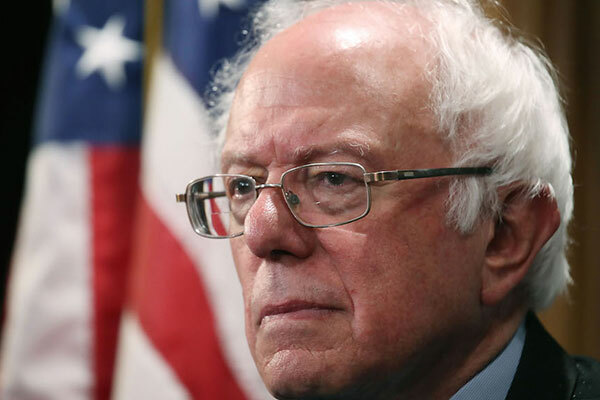 Sanders will own his outsider status in his speech, demanding that the Democratic Party give voice to the issues he and his supporters have raised. And it’s possible that because one of the leaked emails questioned his Jewish identity, he will reaffirm his pride in his heritage. But Sanders has never explicitly placed his Judaism at the center of his message. Don’t expect him to now.